The powerful SUV, Mahindra Scorpio, is available with a large fuel tank capacity of 60 litres out of which 10 litres is for reserve. This large fuel storage capability ensures that this SUV can go on long drives on a single fuel re-fill. Nissan Terrano, is a recently launched stylish SUV that hosts a smaller fuel tank capacity when compared to Mahindra Scorpio at just 50 litres. Nissan Terrano also has a smaller fuel tank that can accommodate just 50 litres of fuel, taking this vehicle far behind when compared to Mhaindra Scorpio. But Force Gurkha comes with a slightly larger fuel storage capacity of 63 litres and beats Mhaindra Scorpio by a very small margin. The hugely popular SUV, Tata Safari also offers a fairly large fuel tank capacity of 55 litres. Another Mahindra offering, Bolero also comes with a similar fuel tank capacity of 60 litres. 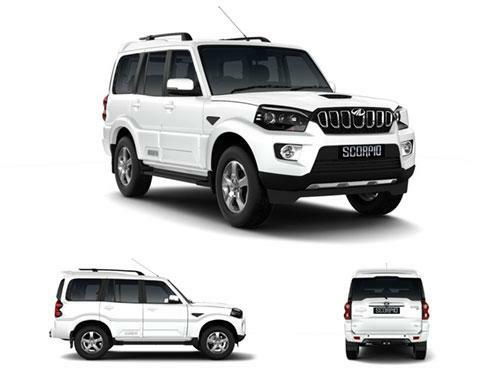 Compare fuel tank capacity of Mahindra Scorpio with its immediate competitors. Fuel tank capacity of Mahindra Scorpio competes directly with Tata Safari, and Renault Duster 2015. Together put, any fuel tank capacity above 45 Litres is more than decent, however, if the fuel tank capacity if less than 40, you need to hold and think. In case you often drive long distances, a 40 litres and beyond fuel tank capacity will be good for you. On the other hand, if commuting between home to office is what you intend to do with your car, you may consider even 30 Litres to be sufficient as well.